Watch: What Are the 50 Greatest Black TV Shows of All Time? 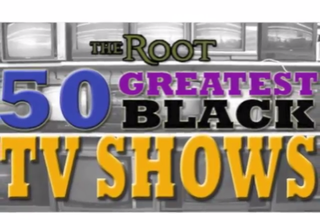 On Monday The Root will give readers the chance to vote for the greatest black TV shows of all time. For the next three weeks, readers will choose from a roster of shows—from comedies to dramas, old and new—that captured the collective experiences of being black in America. The top 50 shows that readers choose will be announced in early October. In this video, watch as The Root staff debate which shows should be included on the ballot.